We do have a couple of used machines for sale!! We have 2 at the shop for you to see! 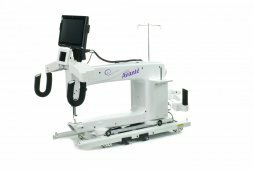 We have a Handi Quilter Avante 18 with Pro-Stitcher for sale! Comes with some extras and not to many stitches! Come check it out and take it for a test drive!! We also have a Sweet Sixteen on our sales floor! 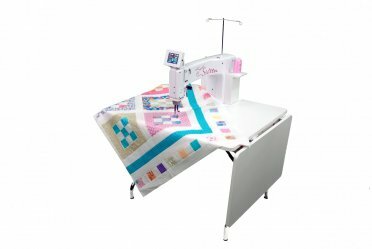 Come on in for a test drive on a GREAT machine with very low stitch count! 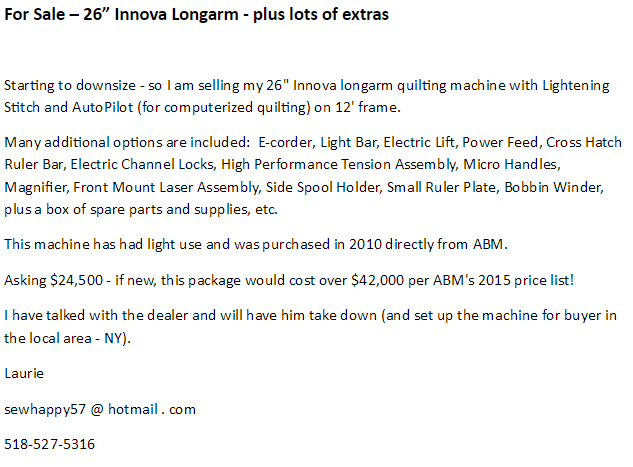 Our next machine is an Inovva! Please call Laurie if you have any questions! Give us a call for anymore information on the machines!